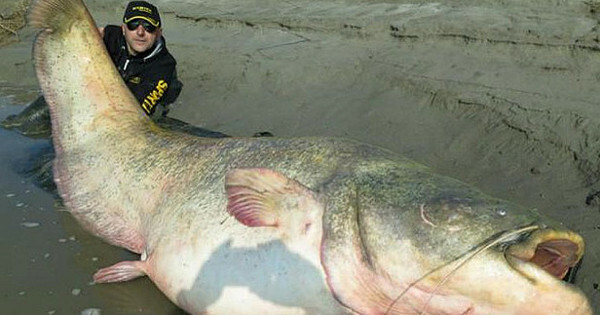 6 Comments on "Remains of Nazi Officer Discovered inside 100-Year Old Giant Catfish"
The catfish was military hero! He should be given a full military funeral with his coffin dressed with the German flag of the time. He is a war hero after all. The remains of a caucasian man and the remains of a SS officer?! So the fish had to have eaten 2 men – ONE CAUCASIAN MAN AND ONE SS OFFICER. There were no caucasian men drafted into the SS. The caucasian men/soldiers, were the enemies of Nazi Germany and so they were the enemies of the Waffen SS. Plus – the soldiers of the SS were much older then in their 20’s. They forgot to add that the fish was eaten alive by those fishermen! haha what a hero, that is exactly what a nazi deserves. Shame the catfish had to die.